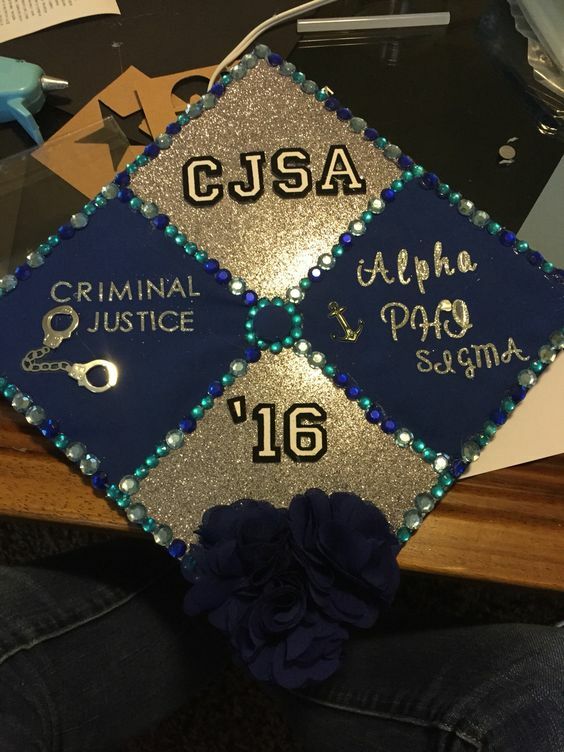 Criminal Justice Graduation Cap Designs Part Two - Inspiration! 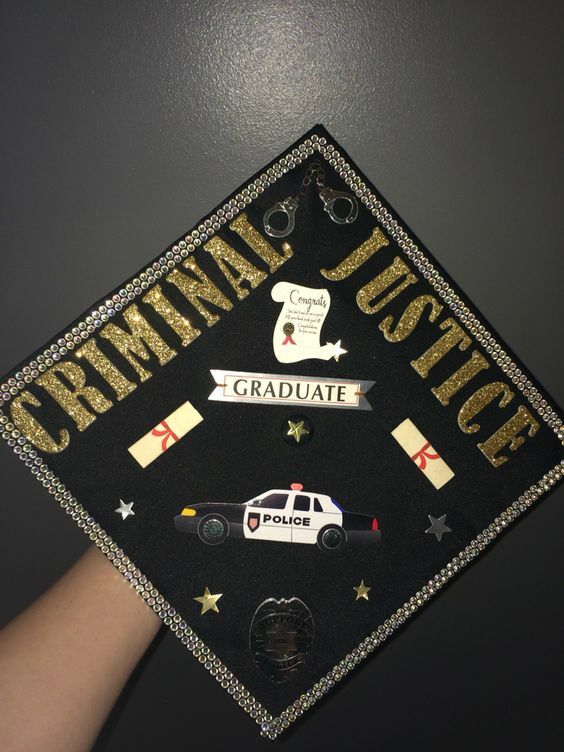 Criminal Justice Graduation Cap Designs Part Two – we found more criminal justice graduation cap designs from all over the web just for you! We put this together to give you the best guide to creating your own cap. You chose a noble profession; law and order. You majored in law enforcement, criminology, forensics, or criminal justice. You want to protect us civilians from the bad guys, and that’s awesome of you. In turn, we will help you make a stunning graduation cap to memorialize your graduation! 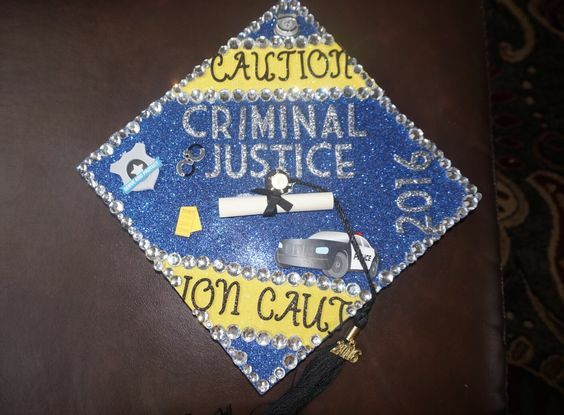 Here are ten more of the most awesome criminal justice graduation cap designs we can find! 1: Here you have a shimmering black background with shiny rhinestone detail, and a healthy dose of yellow tape with monogram center – phenomenal! 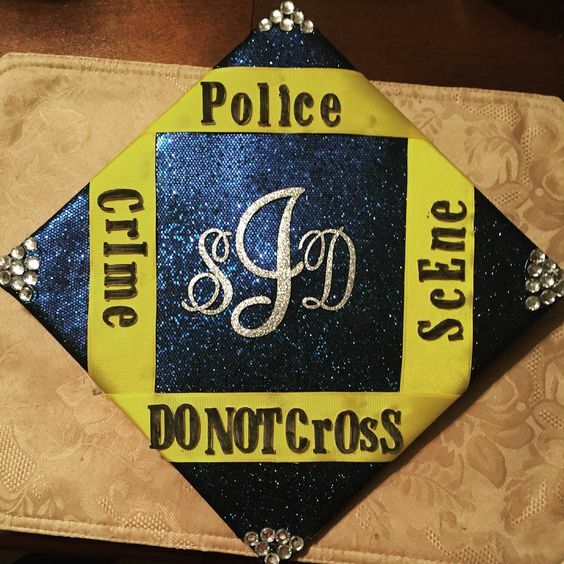 2: This shining example has your diploma, a cop car, and gold lettering all rolled into one! A rhinestone border finishes it off. 3: This four-square design gives you ample room for a shout out! Your fraternity, parents or friends can rent space on your head. 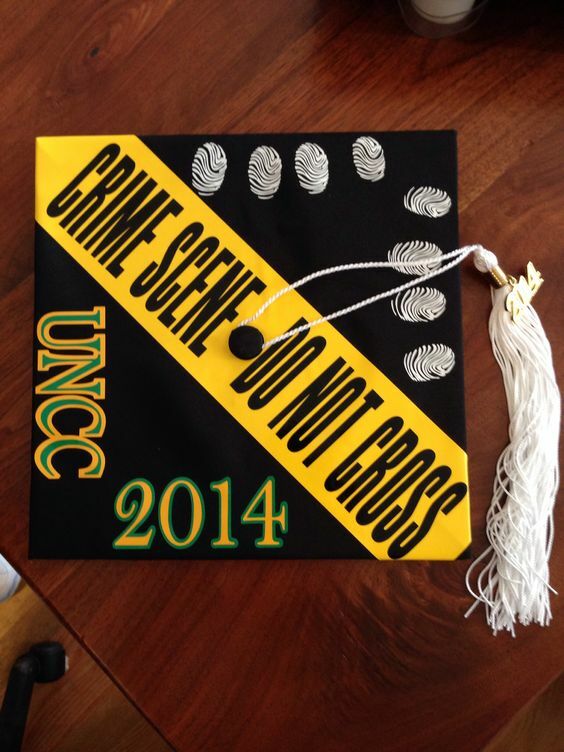 4: This extravagant graduation cap screams bloody murder, and makes you look stylish doing it! 5: A nice, simple but very clean design. Everything here is measured for the perfect ratio. The fingerprints are a nice touch! 6: The lady of justice is displayed dazzlingly here on a red shimmering background. Even the button, usually an awkward oddity no matter your design, found a home here! 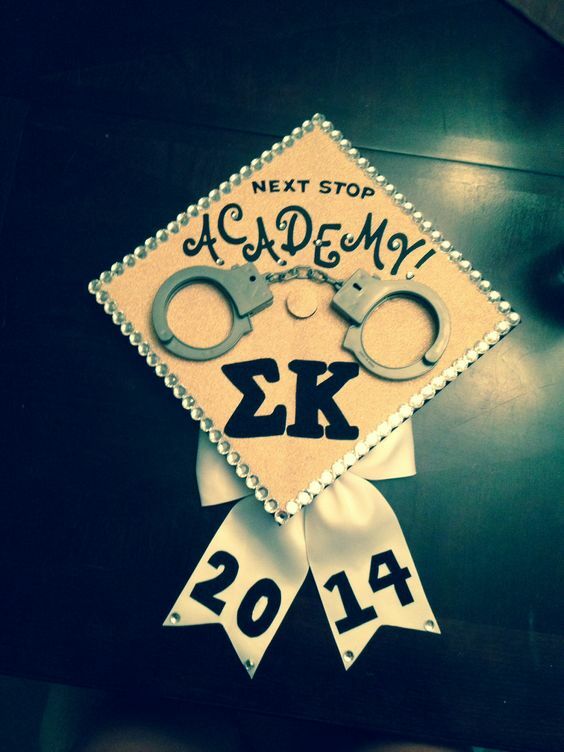 7: This is an awesome graduation cap. The outline is simple and shiny. The color is very nice. The handcuffs and ribbon make it pop. Excellent! 8: A deep blue hue on this cap makes it stand out. The yellow tape signifies your choice of profession, there’s no mistaking it with the badge and cop car! 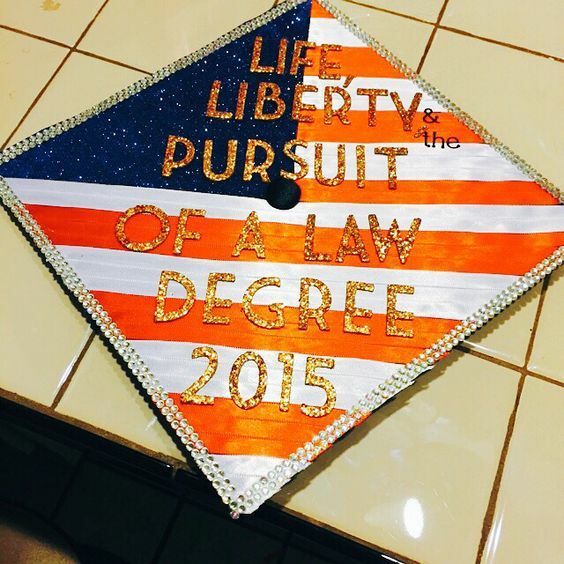 9: A law degree is useful especially in law enforcement. You can out-argue a suspect when she tries to pull her lawyer card on you. 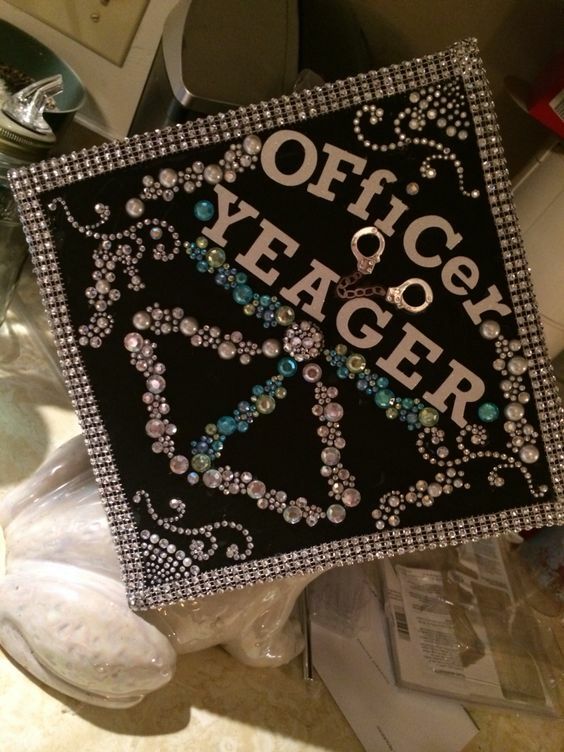 10:This is a blinged out grad cap! It took a lot of time, there is a lot of detail, but it was worth it. Awesome! 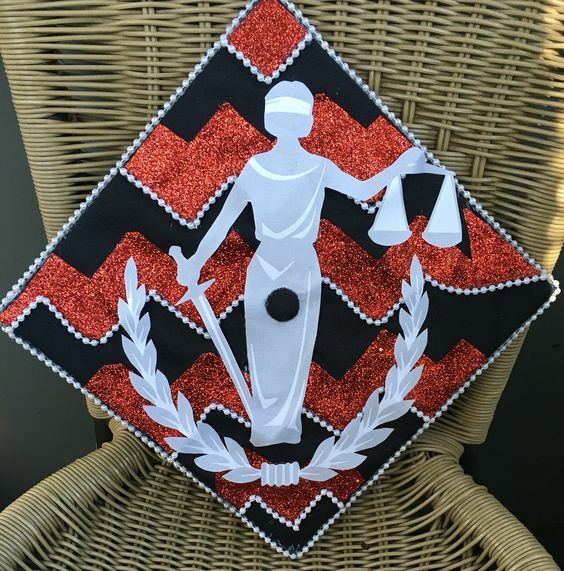 This is the second in a series of posts to help graduates figure out the best way to decorate and customize their graduation caps! These ideas are a springboard, but you should always look to make yours unique. 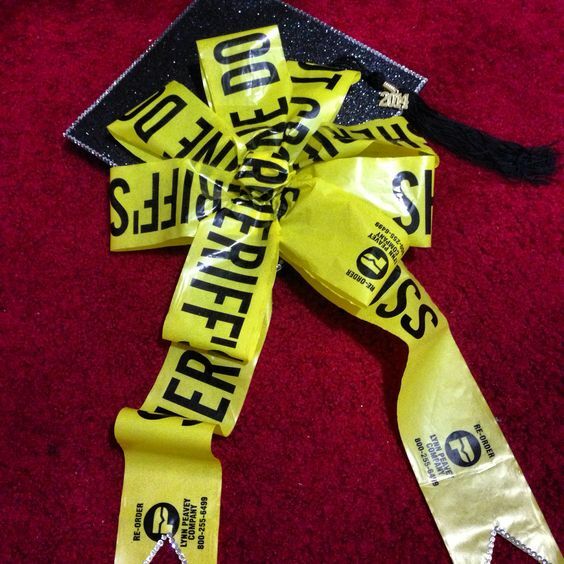 Whether you are a forensic science, criminology, law enforcement or criminal justice major, use these as inspiration.